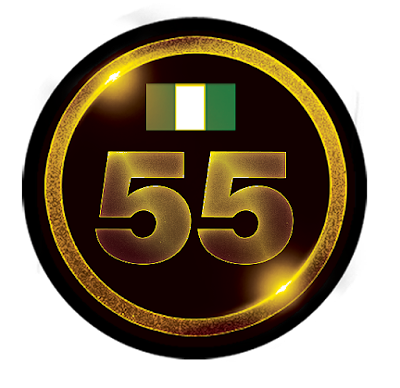 Nigeria is 55 years old. Microsoft Excel is 30 years old. Today Nigeria marks her 55th independence anniversary. And I am glad to say for once in a very long time we are making real progress where it matter most. Even though I don't have much to be very excited about, more importantly I have nothing to complain about. I thank God for the gift of Buhari. Then in an unrelated news, Microsoft Excel was 30 years old yesterday. Microsoft Excel is arguably the world's most used business software. There is no software program from Microsoft that intimidates as well as endears fierce loyalty as Microsoft Excel. This powerful spreadsheet program is used by hundreds of millions of users, from homes, business, education and government offices across the globe. Excel is used by elementary school children to calculate very simple tables, and by research scientists to crunch Genome data. Released to the public on September 30th, 1985, Microsoft Excel is thirty years old today. To celebrate we will highlight some interesting facts that you may not know about the program that brought “rows and columns” to the world. Before Microsoft Excel was conceived, the spreadsheet software that ruled the world was Lotus 123 (first released in 1983). Thus the mission for Excel 1.0 program managers was simple: Do what Lotus 123 did, but do it better and faster. As Microsoft operating system at the time was DOS, the team initially worked on building a DOS version. Six months in, they realized that a GUI (graphical User Interface) approach would be much yield a better user experience. But there was a huge dilemma. Though Redmond had been working on Windows 1.0 since 1983, it was not ready. Thus the Excel team decided to write Excel for the leading GUI OS available then, Apple’s Mac (a very contentious decision even then). This decision turned out to be the right out as Microsoft’s bet on Excel and Windows worked. It is also important to note that Excel also succeeded to blunders from Lotus 1-2-3 in failing to counter the approach from Microsoft. Excel 1.0 was the first product that Microsoft specifically hired a tester for. Prior to that, developers had to test their own code. Even with that, code changes were being done on September 29th, 1985. The master disc was created at 2am on September 30th, 1985 (but the Excel team changed the clock on the PC creating the master disc to 8am the previous day so it would not look as the software was rushed. They then rushed the master disc to a manufacturer, and managed to get several retail discs created and placed in a few stores before the launch later that day. Thus they could truthfully say that Excel was in stores at the launch. Interestingly when the Excel team checked the time stamp of Lotus 1-2-3 disks, they also noticed that it was done at the middle of the night too. 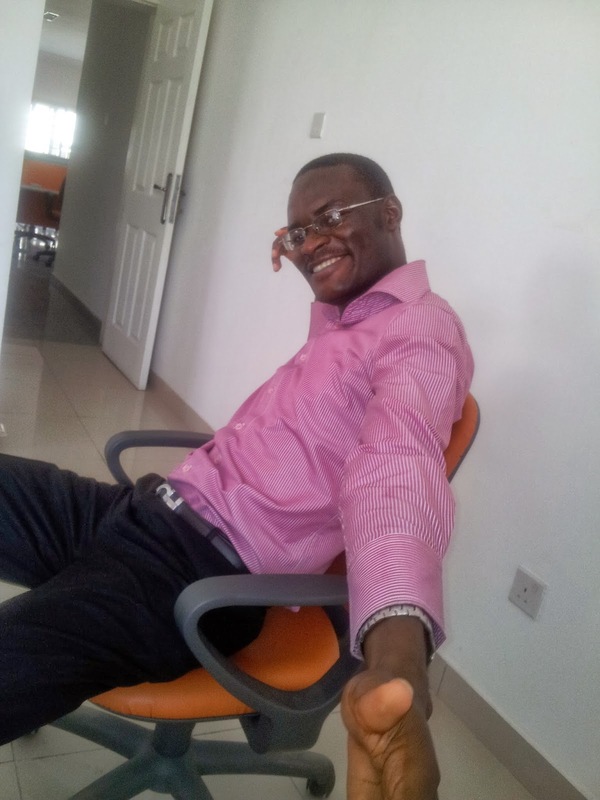 Excel 1.0 started with a team of three programmers that grew to a maximum of 11 programmers. The current Excel fills an entire campus of building in Redmond. 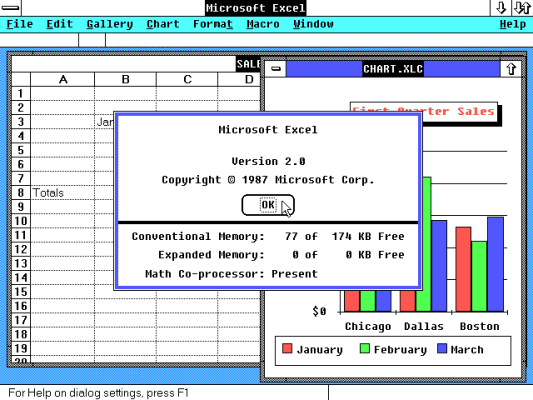 Excel is on its 16th iteration and is unique among the original set of Microsoft programs that was never launched with a DOS version. Excel 1.0 was able to beat Lotus 1-2-3 on speed using a feature called “intelligent ReCalc” that only updated data in the cells that were affected by a data change, rather than recalculating every cell (as was the standard practice). Bill gates is credited with coming up with this idea. Excel is older than 75% of the Kenyan population. Excel 1.0 to 7.0 only had 16,834 rows and. Excel 2016 (v16.0) has 1,048,576 rows by 16,834 columns, though with the latest Power BI functionality spreadsheets with 10 million rows can be analysed.